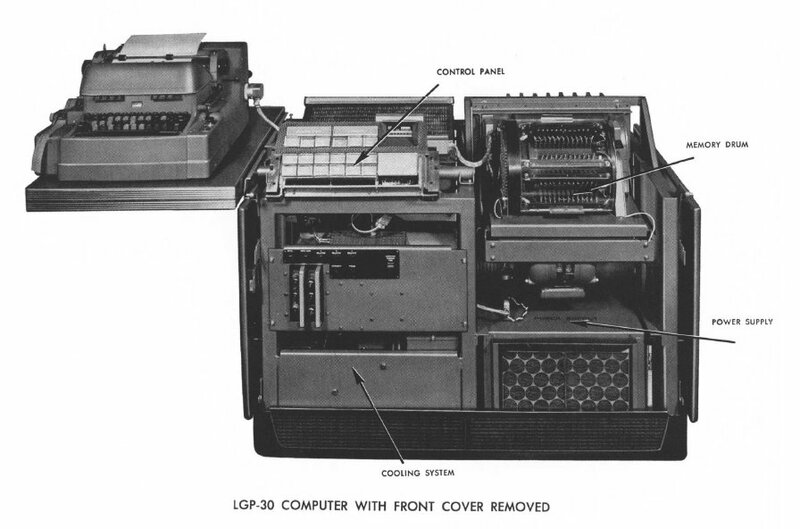 The LGP-30 was a small scientific and business computer. Introduced in 1956, it used vacuum tube and diode logic and featured 4096 words of drum based memory, and a Friden Flexowriter for input and output. 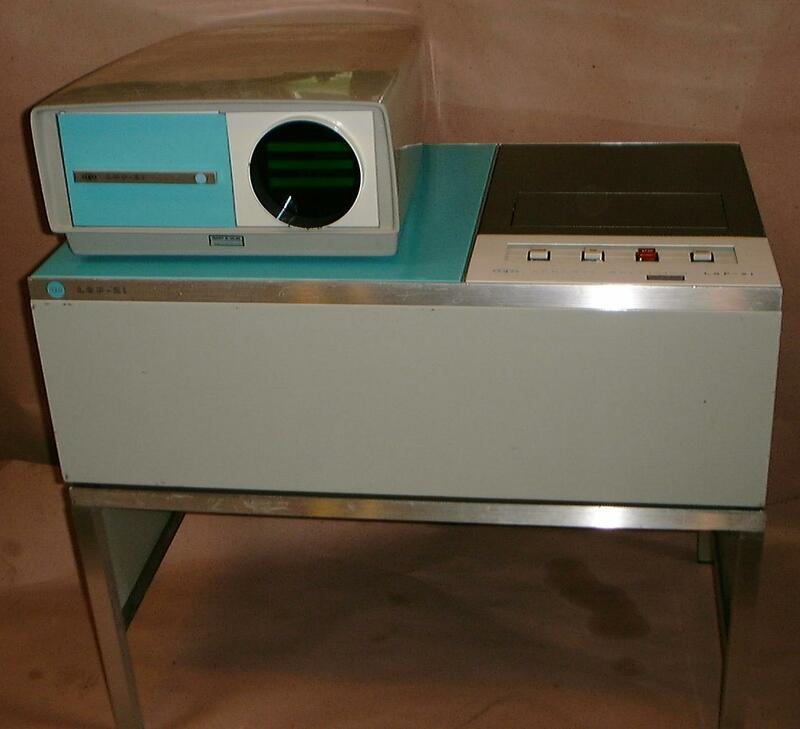 (There was also an optional high-speed paper-tape reader and punch.) The later LGP-21 used transistor logic and a disk memory but was about three times slower.